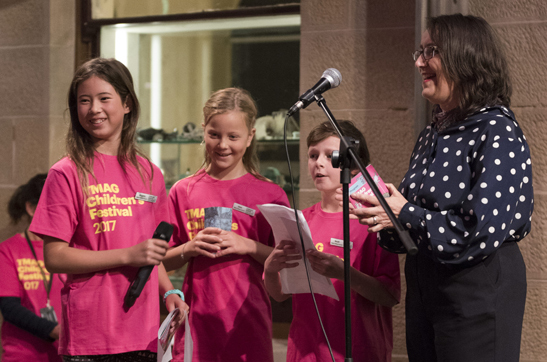 The Tasmanian Museum and Art Gallery (TMAG) Children’s Reference Panel is a select group of children and youth who are interested in contributing to the work of TMAG through providing advice, feedback and recommendations. The purpose of the panel is for TMAG to hear, engage and empower young voices, enabling this important audience group to influence the planning and development stages of exhibitions, programs and resources. Children and young people will share their experiences and ideas, talk about what matters to them, what they want for themselves and others their age and what they hope for in the future in relation to museums and art galleries. Their contribution will make a difference in how TMAG operates and what it offers. The panel is made up of approximately 20 members between the age of 7 and 17, each appointed by TMAG following a formal application process at the beginning of each calendar year, as well as two TMAG representatives. Sub-groups may be convened from the panel members as necessary, according to age and issues to be discussed. This page was last modified on 18th March 2019.